ItalianRentals4U Ltd – Trading us Massimo Villas – (&apos;the Company´, ”we”, ”us” and ”our”) acts only as agent for the owners (”owners(s)”) of the properties (”property” or ”properties”) and providers of the other services featured on our website(s) (owners and other service providers together and individually referred to as ”service provider(s)” in these booking conditions). We do not sell or offer for sale any ”packages” or act as an ”organizer” within the meaning of the Package Travel Holidays and Package Tours Regulations 1992 and these regulations do not apply to any booking you make. When making a booking you enter into a contract with the owner of the property you have selected and will be subject to the terms and conditions of that owner. To the extent that the terms and conditions of any owner differ from those set out in these booking conditions, we will bring the differences to your attention.In these booking conditions, ”you” and ”your” means all persons named on the booking (including anyone who is added or substituted at a later date) or any of them as the context requires.By making a booking, you acknowledge that you accept the terms and conditions of the booking as set out in these booking conditions. The prices shown on our website(s) are believed correct at time of going to publication on our website. We/service providers reserve the right to amend prices during the year and to correct errors in website prices when we/service providers become aware of them. Once a contract comes into existence, the price will not change. The price is payable in accordance with the booking procedures in our vouchers and on our website. Property prices will not change after confirmation. The price of other services may be subject to surcharges in accordance with the service provider´s terms. We will advise you as soon as possible if we are notified of a surcharge. In order to confirm your booking, a deposit of 30% of the total rent must be paid at the time of booking. We accept Visa, MasterCard or bank transfer. The deposit is not refundable, unless we are unable to confirm your original request and an alternative is not accepted. The balance should be paid 64 days before arrival by credit card or bank transfer; the extra costs should be paid on arrival.If we do not receive all payments due in full and on time, the owner reserves the right to treat your booking as cancelled by you and the cancellation charges set out below will be payable. We advise you to ensure you have an appropriate travel insurance policy. Should you for any reason have to cancel your booking, you must immediately advise us in writing. Your notice of cancellation will only be effective when it is received in writing by us. If you cancel, it is very likely that a cancellation fee will be payable to the owner and, where applicable, we will collect this fee on behalf of the owner. The amount of cancellation charge is determined by the date that you notify us of your cancellation. We regret that neither we nor the property owner can make exceptions to the cancellation policy for any reason, including personal emergencies. Even if the original booking is substituted by another booking, a cancellation fee will be payable, at the discretion of the owner of the property whose booking has been cancelled. We have agreed a schedule of cancellation fees with most of the owners we represent, as follows: 30% of the total rent if the cancellation is made 64 days or more prior to the start of the rental period,60% of the total rent if the cancellation is made 63 days to 43 days before the start of the rental period, 80% of the total rent if the cancellation is made 42 days to 29 days before the start of the rental period ,100% of the total rent if the cancellation is made 28 days to 00 days to the start of the rental period.If the owner with whom you wish to contract has a different cancellation policy, we will bring this to your attention at the time of booking. If no alternative policy is communicated to you, the charges listed above will apply. Whilst we are happy to assist clients, when possible, with certain additional services arranged (payable locally), please note that we do so as your agent and do not enter into any contract with you for these. We cannot guarantee that any such service will be provided (even where confirmed) and will not be liable if it isn´t. Your contract will be with the supplier of the service concerned, which will be subject to the supplier´s own terms and conditions. Such services include the provision of rented telephones, cooking services, bicycle or boat hire etc. If things go wrong, our local agent or representative or the house owner will intervene with the supplier to try to find a solution. Access to the property is available from 15:00-22:00 on the first day of rental, but is not guaranteed. Tenancies normally commence at 3pm, however, cleaners may still be working at this time and we ask that guests show understanding in allowing them to finish preparing the property. For apartments an extra charge of Euro 5.00 per hour will apply for arrivals after 22:00, for villas this extra charge is Euro 10.00 per hour. Arrivals after 01:00 cannot be accepted if not informed prior to arrival. We are happy to accommodate you whenever possible, however, please refrain from an early check in. The property must be vacated between 09:00- 10:00 on the agreed departure date. You are responsible to inform us of your arrival time at the destination so that we can pass this information to the owner. Each change to the arrival date and time must be informed to us. In case of an unavoidable delay on the day of arrival, you must inform us immediately. In the event that we are not informed or the owner is not able to accept a late arrival, you are responsible for the cost and the booking of an overnight stay in a hotel. No refunds will be due, if you are unable to arrive on the expected day. This also applies in the case of early departure. We are obliged to make an unplanned displacement to the property and are entitled to claim from you the reimbursement of the expenses. On arrival you must present your accommodation voucher as well as a passport or ID to enable registration in accordance with legal requirements. Please consider your requirements for travel arrangements, car hire and additional items such as cots at the time of booking your holiday. Should you wish to make an addition to your reservation after your original invoice has been sent, no administration charge will be made for up to two amendments but we then reserve the right to impose a £15 fee to cover the administration costs involved in re-invoicing for any subsequent changes. Any amendment made within ten weeks of departure will incur a £20 admin fee and within seven days of departure £35 (plus any charges imposed by the owner/other service provider) where the amendment can be made. On receiving the keys to the property, a security deposit, as stipulated in the description of the property, must be paid in local currency. If the security deposit is not paid, handover of the property may be refused. The security deposit will be refunded at the end of the rental period unless there are any damages or unpaid fees or charges. The amount of the security deposit shall not limit the amount of your liability for damage or destruction to the property caused by you or your party. Should you decide to leave the property prematurely or before 09:00, Italian Rentals4u Limited is authorized to refund the deposit by post unless there are any damages or unpaid fees or charges and only after having checked the property. Signing the contract makes you responsible for the correct and decent behaviour of your party. Consideration should also be given to neighbours and other people. If in the reasonable opinion of the owner or his local representative, you or any member of your party behaves in such a way as to cause danger, upset or distress to any third party or damage the property, the owner is entitled, without prior notice, to terminate the rental period. Neither we nor the owner will have any further responsibility and no reimbursement will be made. You must ensure that the property and all household items and equipment are treated with care and returned in the same good condition as found. All damages or breakages must be reported to the owner or the local repreentative as soon as possible. You shall be liable for any losses, breakages or damage caused to the property or its contents. 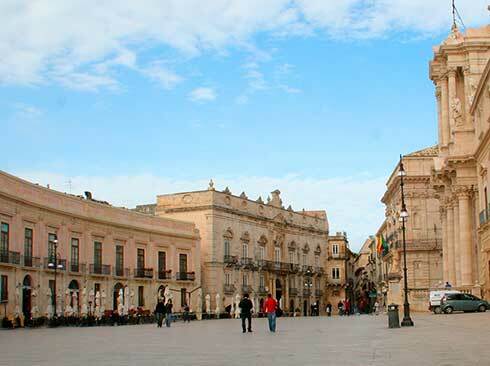 ItalianRentals4u Limited reserves the right to charge you for the relative amount. The properties are reserved exclusively for those people named on the booking form and no other persons are permitted to stay there unless this has been agreed with us. No refund shall be payable in the event of a lesser number of persons occupying the property. *Important Information: As you are aware, we offer properties that are not official tourist structures, such as hotels, residences etc. but private houses. All our properties are individually owned and range from small converted town houses to large modern villas – they do not have internationally recognised standards or categories. Standards vary enormously from basic but serviceable furnishings and equipment, to the more sophisticated and comfortable. The properties reflect, in their architecture and furnishing, the local traditions and the personal taste of the owner. Items such as dishes, cutlery and bedding are always provided, but coffee makers, teakettles, toasters etc. cannot automatically be expected. This is precisely the kind of holiday that we offer; the chance to participate in the culture of the area, living in the same surroundings as the locals. In order to live this experience in the right spirit, it is important that you accept and appreciate the differences of the property compared to any official tourist structure. Due to long summers, water shortages do occur. Please use water as sparingly as possible. Please do not use too many electric appliances at the same time; this can cause a cut off of the electricity supply. The owner of the property reserves the right to have free access to the property for essential maintenance purposes. No pets are allowed in the property, unless otherwise agreed. Please bear in mind that sofa beds or extra beds are often not as comfortable as regular beds. Although every effort is made to maintain all properties in good order, it should be noted that wear and tear of properties is unavoidable. For this reason, damaged furnishings may be replaced and occasionally hot water installations, swimming pools, toilets and utilities may need repair. It may take some time to engage a worker to obtain parts, and your patience is appreciated. The property will be handed over to you clean, tidy and in good order. You are obliged to pay in Euro the amount due for the final cleaning of the property. Cleaning of the cooking facilities, crockery, cutlery, kitchen corner/kitchen/kitchenette and the removal of rubbish is your responsibility and is not included in the final cleaning. If you neglect the cleaning, we are obliged to charge you an additional amount to compensate the owner for his additional costs. Neither we nor the owner accept any responsibility or liability for acts of omission of third parties which may prevent or disrupt a booking. The contract for the rental exists between you and the owner and that for any additional services with the third party supplier chosen and are limited to the rental of the property and associated services or to the additional services where relevant only. No liability can be accepted by us or the owner for any injury, illness, death, loss or damage to you or a member of your party, arising out of or in connection with the use of the rental property, swimming pool, children´s play areas or all kind of sport facilities. The use of these facilities is at your own risk. Neither we nor the owner will be liable for any damage and losses as a result of burglary. No liability can be accepted by us where the contract is affected by &apos;force majeure´. In the context of these conditions, &apos;force majeure´ is any event that we could not, even with due care, foresee or avoid. These events include but are not limited to war, threat of war, riot, civil commotion or strife, hostilities, industrial dispute, natural disaster, fire, acts of God, terrorist activity, nuclear disaster, adverse weather, government action, technical problems with transportation or other events outside our control.